In this tutorial you are going to learn how to change office 2003 product key which is somewhat more complicated than with later versions of Office. First of all you will need to start registry editor. 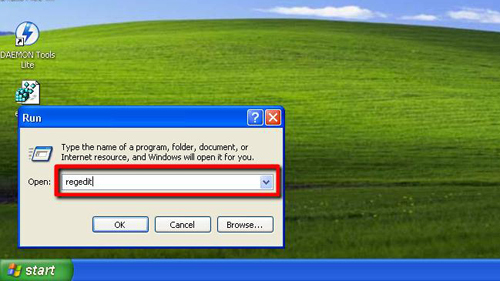 Click “Start”, then “Run…” and in the text box in the “Run” window, type “regedit” and click “OK”. 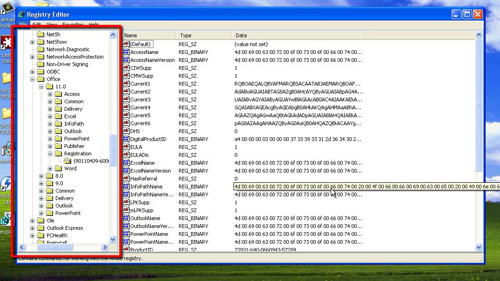 This will open “Registry Editor”. You are now going to need to navigate to the part of the registry that relates to your installation of Office 2003. Double click on “HKEY_LOCAL_MACHINE”, then “SOFTWARE”, then “Microsoft”, then “Office”, then “11.0”, then “Registration”. Within this folder you will see another called “9011…” etc, or something similar – click on this. You will see a list of entries appear in the right hand frame. First off, you need to locate “DigitalProductID”, right click on it and select “Delete”. Next, located “ProductID” and delete it as well. 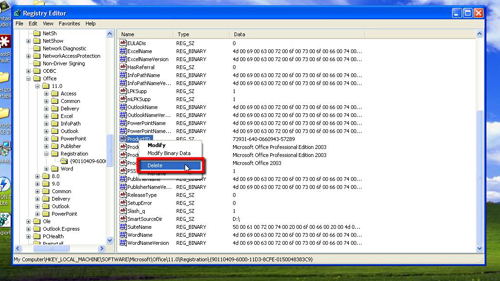 Close registry editor and then open any one of the Office 2003 programs. 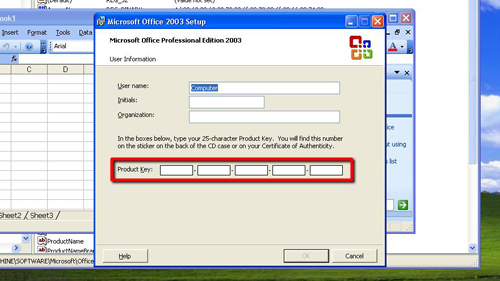 As it starts up you will be presented with a “Microsoft Office 2003 Setup” window, here you can enter your new product key and that is how to change office 2003 product key.